Welcome back to The Rundown, our daily breakdown on comic news stories we missed from the previous day. Have a link to share? 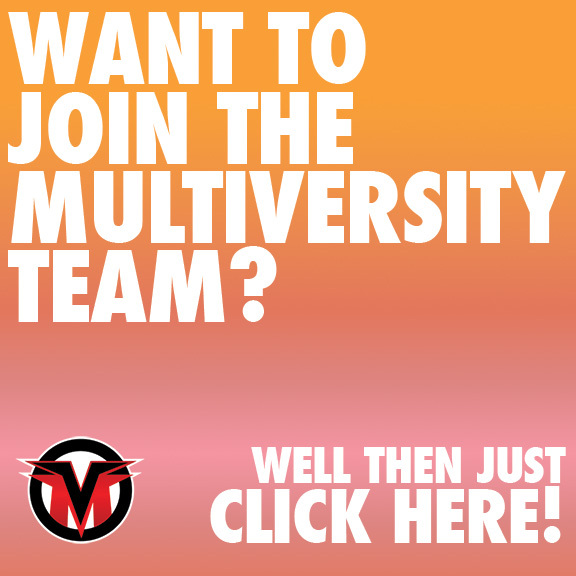 Email me at david@multiversitycomics.com. – Oh my god oh my god oh my god oh my god. You guys, Marvel is making a TV series about Agent Carter from the first Captain America film. Played by the stunning and brilliant Hayley Atwell, Carter was an epic badass who it was hard not to fall a little in love with while watching the film, and the idea of her character getting a TV series is admittedly a little random, but something I would DEFINITELY tune into. BUT ONLY IF IT WAS ATWELL PLAYING HER!!!! That’s all. <3 <3 <3- Tying into two of my great loves in life - statistics and comics - The Beat has an article up about a study Brett Schenker has put together using Facebook stats to show how many comic fans there are and what percentage of those are women. According to his estimates, there are roughly 40%, which obviously is a far higher number than many would expect. While I have questions about his structure and process (as I mentioned in the comments to Brett himself), it does raise interesting questions and it deserves a follow-up which Brett himself is providing tomorrow. As someone with a strong background in statistics and data as well as a current foundation in social media advertising platforms, it’s going to be interesting to see how it comes together, and I’ll definitely be providing additional thoughts on it as it develops. – Apparently “Thor: The Dark World” had backed itself into a few screenplay corners and none other than Joss Whedon came on set to provide CPR to the struggling segments, according to director Alan Taylor. While this doesn’t mean it’s bad by any means, it’s always a bit concerning when you have to bring someone else in to provide triage on a script. But do you know what happens when “Thor: The Dark World” gets worked on by Joss Whedon? The same thing that happens to everything else. – Comics Alliance has an editorial about DC and the normal course of business, and while it sort of recaptures some of the ideas in a number of recent editorials, it’s a good collection of ideas and thoughts by Andrew Wheeler. DC has acted a damn fool lately, and to see it all in one place is a bit daunting. – Fiona Staples is interviewed over at CBR and it should be read because Fiona Staples is a super epic badass.